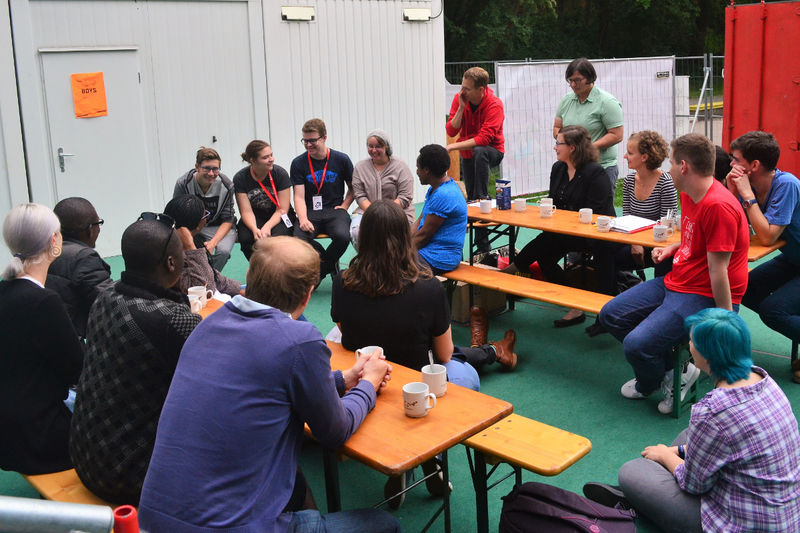 Young Reformers from around the world are in Wittenberg, Germany, to share about youth work in their respective churches, facilitate workshops on their Living Reformation projects and offer prayers, songs and games to visiting youth and confirmation candidates. The Lutheran World Federation (LWF) group at the World Reformation Exhibition represents 14 churches from the seven LWF regions. 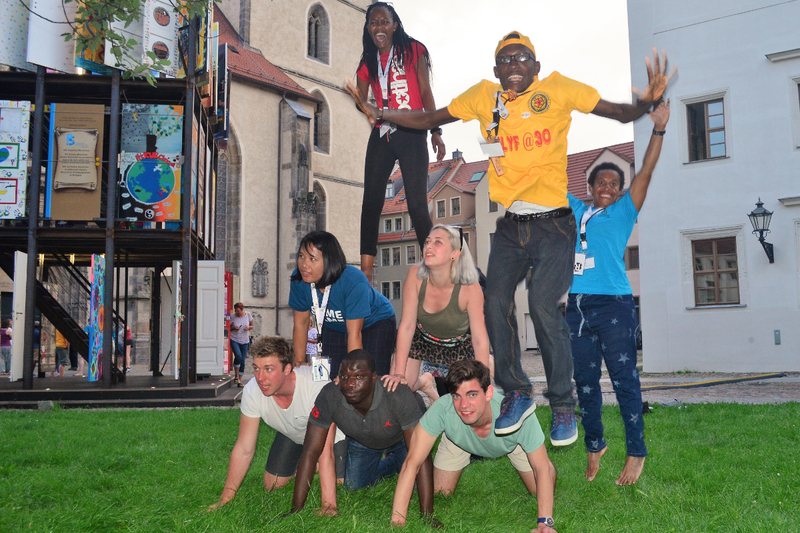 The young men and women arrived in Wittenberg on 17 July, presented their activities at the “youngPointreformation” during the first week, and moved on to the LWF Heaven’s Tent in the second week, until 31 July. On 17 July, a group of 18 Young Reformers from different parts of the world arrived in Wittenberg, Germany, to take part in the World Reformation Exhibition until 31 July. Staff of the youngPOINTreformation welcomed them, and provided orientation on individual roles and responsibilities for the first week. 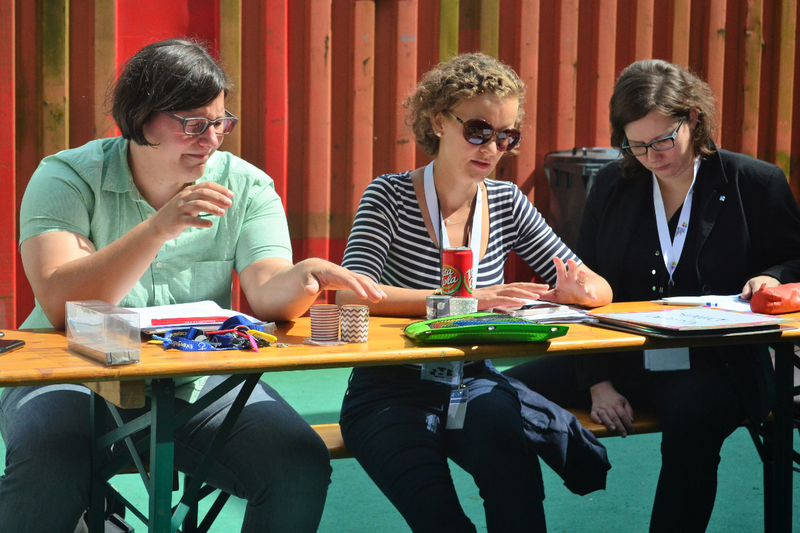 Members of the secretariat leading and looking after the young reformers during their stay at the center for the first week:, from left, Daniela Broda, the youngPOINTreformation Project Manager; Caroline Bader, LWF Youth Secretary; and Julia Braband, Evangelical Church in Central Germany (EKM) and LWF Council member. The youngPOINTreformation. The first level houses the exhibition on the theme “In search of the good life” with topics on sustainability, religion, Europe, and information technology, which invite visitors to reflect on responsibility for a peaceful, socially, economically and ecologically friendly life. 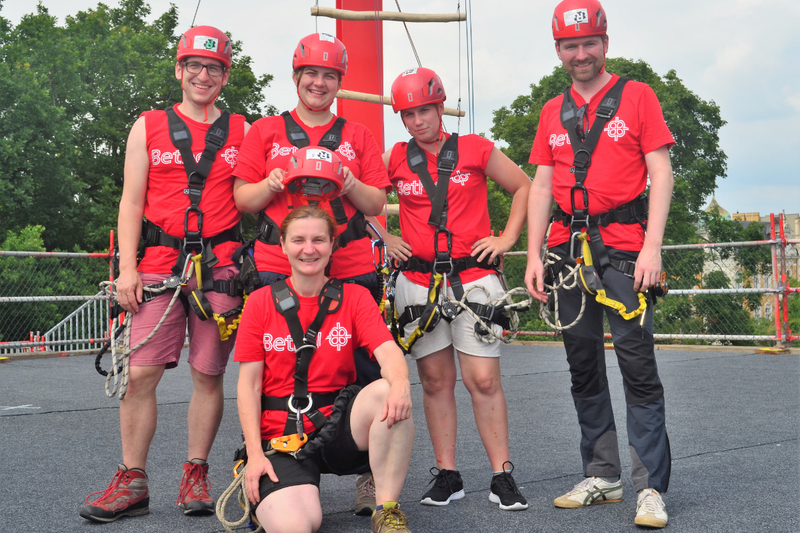 The top level offers a climbing area with high ropes and a giant swing for guests to develop teamwork and build trust. The climbing team. 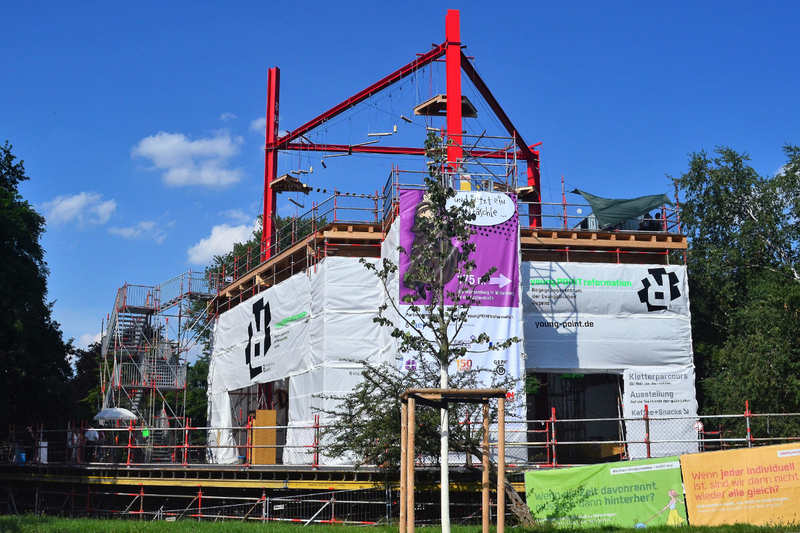 The EKM group shared their expertise in the high-rope garden at the youngPOINT reformation. In sunshine and through rain, they receive warmly every guest who visits the center—young, old, local or international visitor. Unity in diversity. Young reformers from Australia, Brazil, Botswana, Chile, Colombia, Germany, Indonesia, Liberia, Papua New Guinea, Philippines, Ukraine, United States and Zambia, find time to play despite the challenging tasks at the youngPOINTreformation. 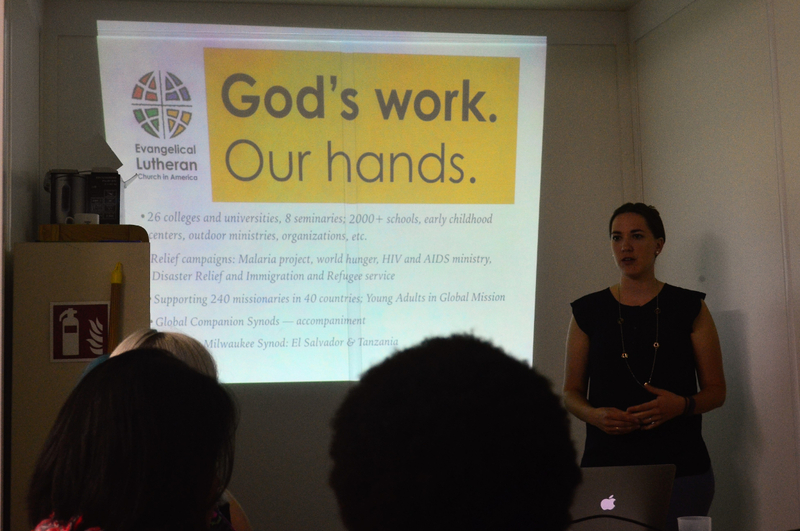 Young reformer Christine Shander, Evangelical Lutheran Church in America (ELCA), presents the church’s ministry under the slogan "God's work, Our hands." It was interesting to hear how the church promotes and supports programs that tackle social issues beyond the ELCA. Young reformer Karl Michael, Lutheran Church in Chile, actively participates in a workshop presented by EKM’s Lena Lothring and Julia Braband on the theme, "Creation not for Sale." 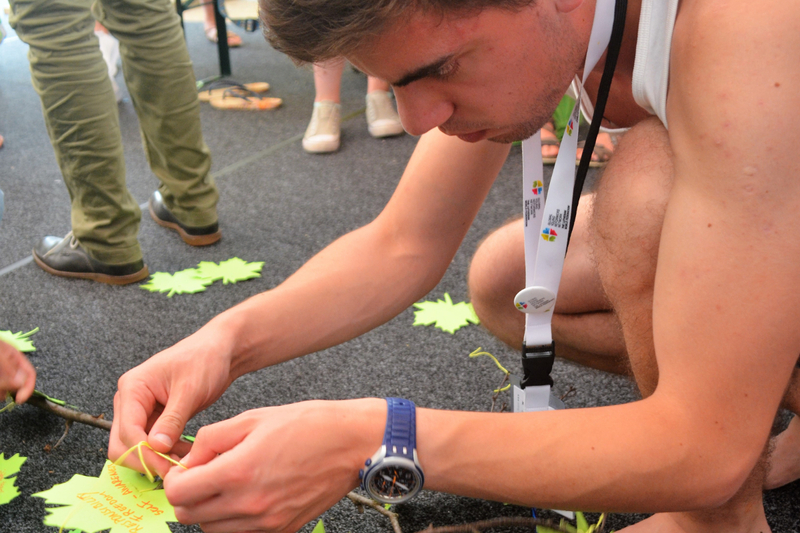 Participants were asked to write on a leaf what they saw as their contribution to protecting creation. 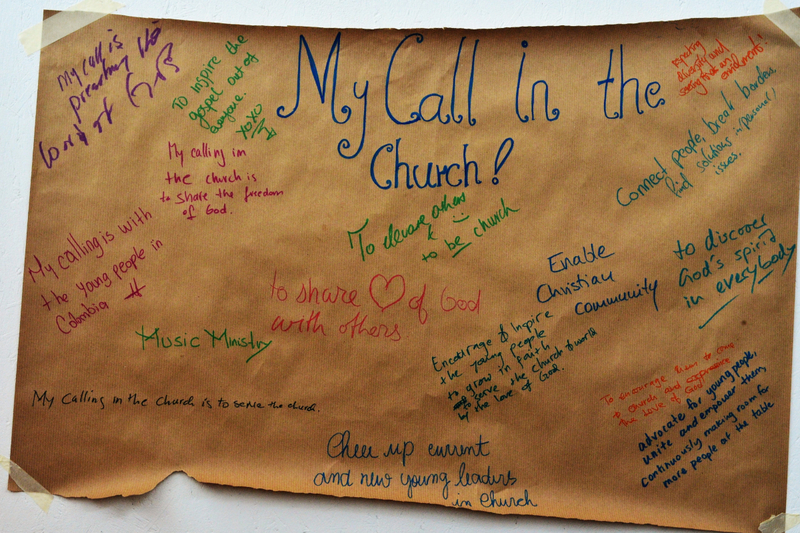 During devotion led by Botlhale Sebataladi from Botswana, each young reformer was asked to write down the calling from their respective churches. Although representing different cultures and perspectives, they all came to the conclusion that while they might each have a different calling, they have the same goal: to share the gospel. Text and photos by young reformer Edgar Toclo, Lutheran Church in the Philippines.